Tradition, spirituality, culture and handicrafts, ethnic diversity and rural life, all combined with both myth and legend. Located in the eastern part of India, Sikkim presents a different picture than what you have usually experienced during an Indian holiday. First and foremost, the state of Sikkim is a popular Buddhist pilgrimage destination. At the Rumtek Monastery, you will find out more about Tibetan Buddhism. Second, Sikkim is a trekker's true delight. It offers a wide range of routes along which you can trek while soaking up the natural charm of the region. 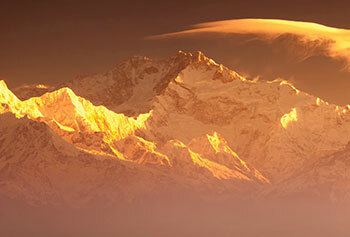 During your trekking tours, you can also enjoy heart-stirring views of snow-laden peaks of the Himalayas. North Sikkim is where you can visit picturesque valleys and quaint villages where spending a night will be an unforgettable experience. Among other things that have increased the popularity of Sikkim as a wonderful travel destination is also the Temi Tea which you can relish fresh. Sikkim's capital Gangtok is a social and cultural hub. During your Sikkim tour, you should never forget to absorb the vibrant nightlife of this town. Snack stalls and lounge bars populate the town from one corner to another. Whether you are travelling alone or in a group, you will love gorging on snacks and dancing the night away in the town of Gangtok. The state of Sikkim is also full of fun for those who love to indulge in adventure sports. Paragliding, river rafting, mountain biking, Yak safari and trekking are some of the most popular adventure activities that you can enjoy while in Sikkim. Dzongu, Geyzing, Mangan, Namchi, Pelling, Ravangla and Yuksom are other well-known towns in the state of Sikkim. 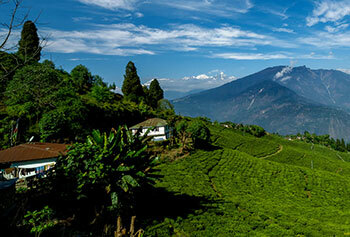 At Max Holidays, we offer a wide range of Sikkim tour packages for you to choose from. Each of the tour package we have designed aims at helping you explore the best and the most unique in the state. Whether you are a pilgrim, a wildlife lover, a hiker or a culture enthusiast, you will find at least one tour which fits in with your travel tastes and requirements. If you want to include something more in a tour package or omit something from a tour package, all you need to do is get in touch with our travel specialists and they will do it for you happily. "I am a solo traveller lover as it allows me to see places peacefully and it is exactly how my Sikkim trip was organised by Max Holidays. The tour was hassle-free and I clicked lots of pictures of scenic beauty of Sikkim, interact with local people, explore new places. I would highly recommend Max Holidays to Solo Travellers for Hassle-free holiday!" "Max Holidays has organised my family trip to Northeast India in a perfect manner. They made sure everything was well organised when it comes to services. I would really like to thank them for ensuring throughout the trip that we really enjoy our family holiday. It is must to mention Northeast is fabulous with amazing beauty." 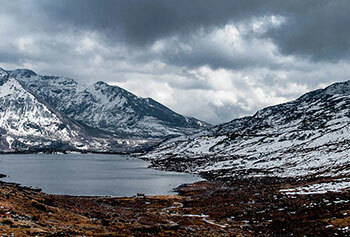 "Northeast part of India is like ‘Untouched Paradise’, especially Sikkim. Thanks to Max Holidays for recommending me this destination for my vacation. We got a very good experience during the trip. I am totally satisfied with the efforts to make the trip the best. The drive on the hilly areas was quiet exciting; the drive was good and humble."